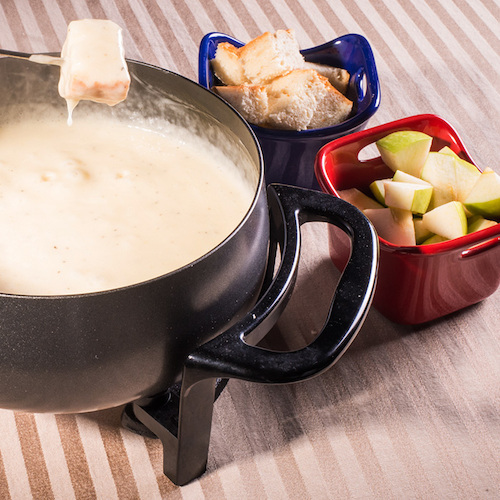 With the subtle yet savory blend of Gruyere cheese, white wine and Swiss cheese, fondue has never tasted so delicious. Mix flour, salt and nutmeg together. Set aside. Simmer wine in fondue pot. Add cheeses, around 4 ounces at a time. Stir after each addition until cheese is melted. Serve with cut-up French bread, apple chunks or raw veggies.